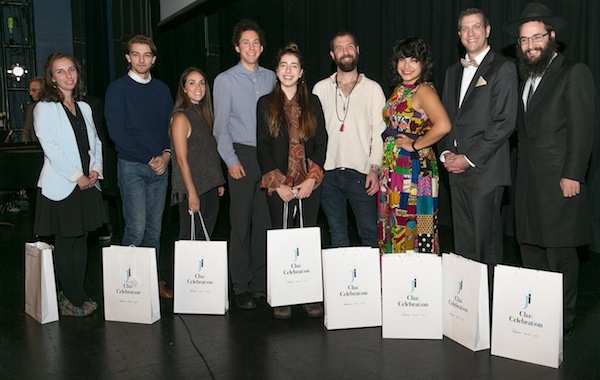 The JI Chai Celebration on Dec. 6 at the Rothstein Theatre was a sold-out event. The high-achievers and community-minded individuals who won the JI’s 18 Under 36 Awards were the highlights of an evening that included world-class entertainment and the launch of a brief video explaining the history of the Jewish Independent, which began its newspaper life as the Jewish Western Bulletin. In my remarks at the celebration, I noted, “For 88 years, this newspaper has been bringing this community together. And yet, in all that time, there has never been an event – to my knowledge – where people have come together – literally, in the same room, like we all are tonight – to celebrate or acknowledge the existence of our community newspaper. 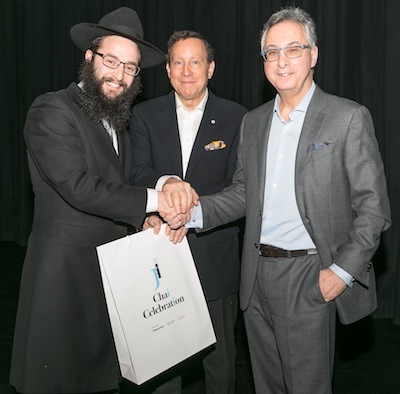 The JI Chai Celebration was presented by the Jewish Independent with the generous sponsorship of the Joseph and Rosalie Segal family and the Chutzpah! Festival. Both Gary Segal and Lorne Segal presented awards, as did Jewish Federation of Greater Vancouver board chair Karen James and CJPAC B.C. Region director Kara Mintzberg, who was the external adjudicator of the awards. 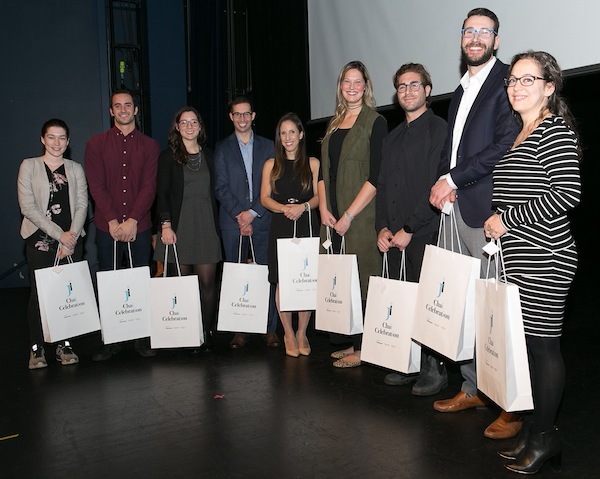 The winners, in alphabetical order, were Rebecca Baron, Ezequiel Blumenkrans, Erin Brandt, Marcus Brandt, Ayelet Cohen Weil, Courtney Cohen, Aaron Friedland, Sam Heller, Talya Mallek, Ariel Martz-Oberlander, Logan Presch, Maya Rae Schwartz-Dardick, Mike Sachs, Allie Saks, David Schein, Rotem Tal, Carmel Tanaka and Rabbi Levi Varnai. Several community members stepped up as sponsors – Gary Averbach, Shirley Barnett, David Bogoch, Tzipi Mann, JB Newall Memorials, Olive+Wild, Mark James and Red Truck Beer, Vancouver Learning Centre, Byron Sheardown and Web exPress and Yosef Wosk. And all of the performers – Amanda Hartley, Lisa Ehrlich, Goldie Hoffman, Vitaly Beckman, Jacob Samuel, Roller Dance Owl, Barbara Adler, Ron Samworth, Warren Kimmel and Wendy Bross Stuart – donated their time, and the Jewish Museum and Archives of British Columbia created a photo exhibit especially for the occasion. There were dozens of auction and prize donors. Under the direction of Bonnie Nish, JI staff and volunteers helped make the night the success it was. “I hope we agree on the importance of having a Jewish community newspaper,” I said at the event. “I hope, further, that most of us would like one that represents all segments of the community and most opinions – we do have our red lines, I will admit. “If we agree, I’m asking you to keep supporting the paper. And, I’m asking those of you who are new to the paper through this event, to subscribe, to advertise your business or organization, or to donate every so often if you prefer to just check out the website or pick the paper up for free at one of our 40 depots. To watch the video The Jewish Independent: 88 Years … and Counting!, click here.